Use this Lake Somerville map to find ramps, restaurants, campgrounds, nearby golf courses, lodging, and more on Lake Somerville. 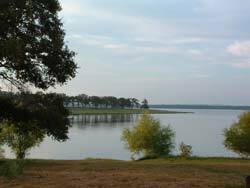 Lake Somerville is an 11,456 acres Corp of Engineers Lake with an average depth of 38 feet and 85 miles of shoreline. 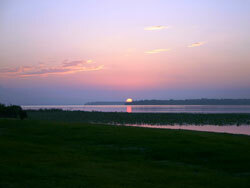 You'll find some very good lake front campsites, day use parks for picnicing, restaurants, some lakeside lodging, and very good fishing for catfish, largemouth, white, and hybrid bass. Somerville Lake is perfect for outdoor recreation, camping, and water activities like skiing, boarding, or tubing. 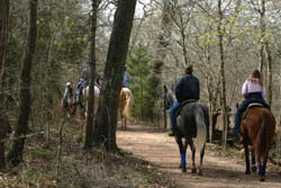 The Lake Somerville Trailway, located around the west end of the reservoir, connects Birch Creek State Park with Nails Creek State Park via 13 miles of trails for hiking, mountain biking, horseback riding, backpacking, birding, and nature study. Check any category in the Category Search Box to find the location and more information on the Lake Somerville Map. Some nearby items listed in the Search Results Box may not display on the map - click on them in the Search Results Box and it will locate them on the map and give you more information. Some categories may not have any content. Instructions: Check any of the items in the Category Search Box that you would like to see displayed on the map. Then click on the map icon and it will provide you with more information and links. The Search Results will also pull in locations that are nearby, which may not show on the map. Click on an item in the Search Results Box and it will locate the item on the map and open a caption box for that item. Icons on the map in red have been reviewed by Texas Outside, select the link in the caption to view the review. You can also move the map in any direction by holding the left mouse button down and then moving the mouse in any direction. Or you can use the direction arrows on the top left portion of the map to move the map east, west, north, or south or re-center the map by clicking on the star burst next to the direction arrows. The "+" and "-" allow you to zoom in or zoom out which sometimes makes it easier to find items on the map.